The 6th Creek Catchment Group consists of local Landcare Groups, landholders, community organisations and representatives from Government agencies with an interest in land management and protection of our local environment. We gratefully acknowledge the support from the Adelaide & Mt Lofty Ranges Natural Resources Management Board, Forestry SA, National Parks and Wildlife SA and Adelaide Hills Council. Since 1998 we have been fortunate to receive Natural Heritage Trust & National Action Plan (2002) funds and Community Action Grants as well as philanthropic donations to ensure strategic and coordinated action could be initiated to manage the catchment and valuable natural resources of Sixth Creek’s riparian zones. 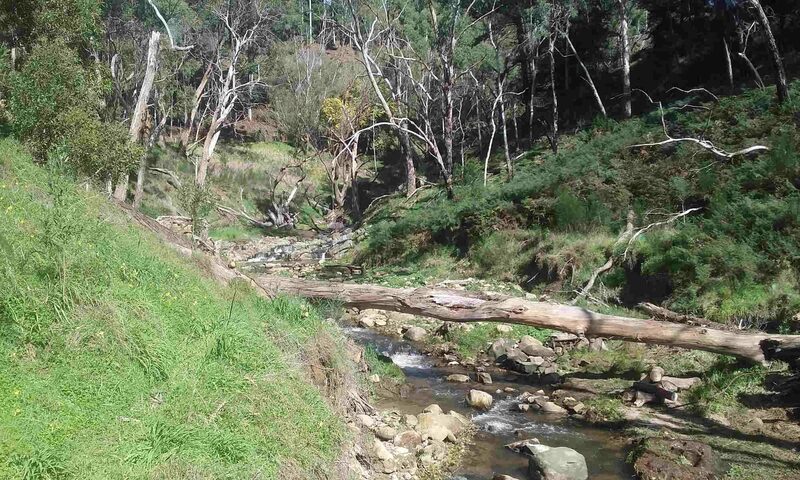 These funds have been used for extensive rehabilitation, weed control and revegetation to conserve the remaining biodiversity of the Sixth Creek. Working with more local communities and landholders, we have shown that the challenges, great though they are, can be met. We now have some equipment you can borrow or hire including a spray unit, weed pullers and fox-traps. There is even a wildlife infrared camera for hire to see what is eating your plants! Send on information about training courses and workshops which are sent to us a central community group. This requires you to email us at 6thCreek@gmail.com and ask to have your name added to our distribution list.